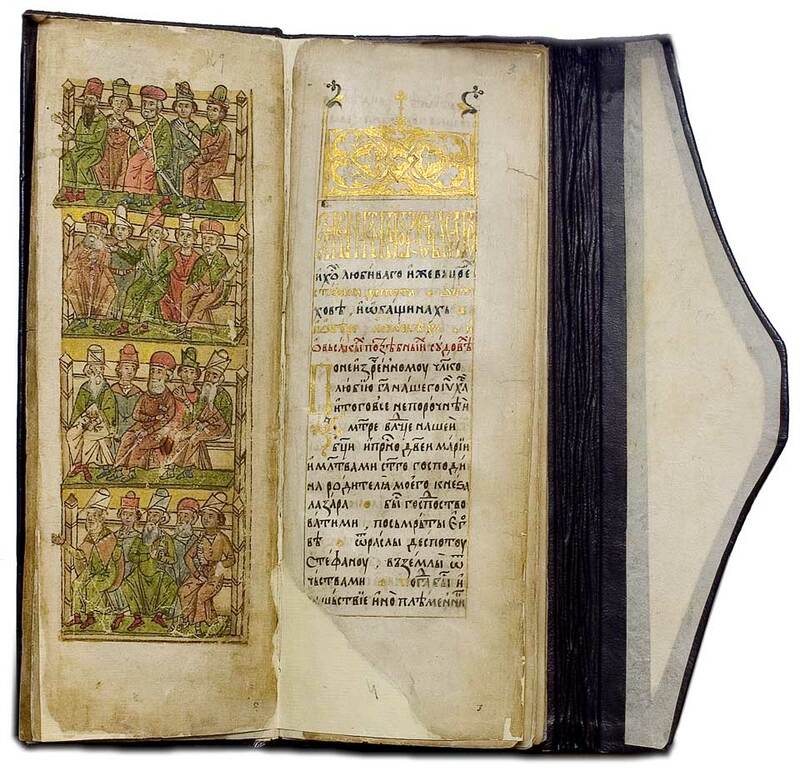 Since the devastation of the National Library of Serbia in 1941, the Old Collection, or the Collection of Manuscripts and Old Printed Books, has represented the largest collection of old Serbian manuscripts and printed books in our country. Its inventory contains 526 items, originating from the 13th to the 19th centuries. Some of the items have been transferred to other collections, the SASA Library and the National Museum, but some are also missing. This was noted by Ljuba Stojanović in 1901, whereas it was recorded in 1943 that manuscripts Nos. 112, 245 and 341 were missing. For this reason the Old Collection currently holds 481 manuscripts and printed books. These include Dečanska hrisovulja (Dečani Chrysobull, No. 360), Zakon o rudnicima (The Miners’ Code) of Despot Stefan Lazarević (No. 465), Gorički zbornik (Gorica Miscellany, No. 446), Kumaničko četvorojevanđelje (Kumanica Tetraevangelion, No. 69), a manuscript copy of Banjska povelja (Charter to Banjska Monastery, No. 495), as well as a large number of church miscellanies, oktoeches, menaia, psalters, euchologia, and also some of the works by Jovan Rajić, Vićentije Rakić, Dositej Obradović, Pavle Solarić, Lukijan Mušicki, Joakim Vujić, and Sima Milutinović Sarajlija. Mention should also be made of the miscellany, Žitija kraljeva i arhieskopa srpskih (Lives of Serbian Kings and Archbishops) by Archbishop Danilo II, Služabnik (Liturgikon) from 1554, and excerpts, passages or individual folios from liturgical books, Aleksandrida (The Romance of Alexander), and tales about the Battle of Kosovo, all from the legacy of Jovan Tomić in the Historical Collection (14,509). A number of manuscripts in this collection have been published, such as The Miners’ Code of Despot Stefan Lazarević (1962), Tipik arhiepiskopa Nikodima (The Typikon of Archbishop Nikodim) in 2004, The Charter of King Milutin to Banjska Monastery, Vols. 1 and 2 (phototyped edition and accompanying studies), in 2011, Venclović’s Szentendre Bukvar (Alphabet Book) from 1717 (2013), etc.